The quartz is an environment friendly product. The caesar stone benchtops are prepared from quartz and is premium segment bench tops. This gives any top the grandeur and décor. 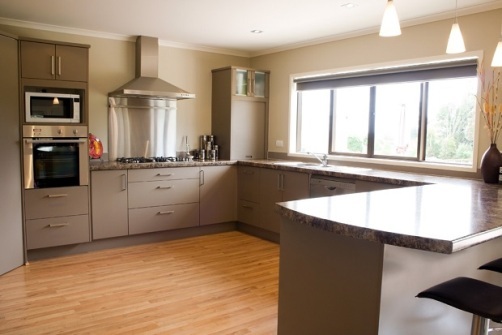 The caesar stone benchtops in the kitchen, and on tabletops as wall cladding, will change the look of your home. The benchtops are prepared from quartz and processed in a modern factory. The product is nonporous and highly scratch resistant for use at home. You can use it in your labs and healthcare centers to give it a professional, yet a stylized look. The quartz with a scratch resistance of highest order, on the hardness scale the quartz stands at 7 and diamond the hardest is at ten you get a comparable hard surface for your bench tops. It is nontoxic and can be used in healthcare labs and has the relevant clearance from the health care authorities. The bench tops are aesthetically designed to give a gorgeous look to a space. You can use it as a splash guard where your sink is fixed and as a cooking table, the look is unparallel. 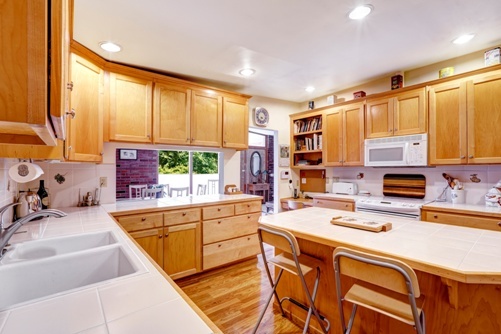 The bench tops come with ten-year warranties, and if you use it with the manufacturer’s guideline, it will last a few generations, retaining its new look. There are a few usage limitations. You can’t stand over it; you can’t treat it roughly meaning that you can’t use it as a cutting board, and you can’t subject it to sudden temperature surge. If you take care of the limiting usage, the 10-year limited warranty is not at all a match for its longevity. The caesar stone benchtops in claddings, on the kitchen table and on your toilet walls, will change the décor of your household. It needs an authorized mason to fix, but it will not need any extra effort to keep it new. The easy maintenance of the bench tops is its specialty. You need a soft tissue preferably cotton and warm water to wipe it clean. No more costly cleaners or abrasive liquids and dishwater cleaners to clean the bench tops. In fact, high pH chemicals will do more harm to the surface than any good. The maintenance guideline will tell you what you need to use to keep the surface clean and what not. In fact, the maintenance kit is easy to explain. You need a moist mop without any sharp edge and a dry cloth to wipe it dry. In case, there is an accidental spill of things like nail polish wipe it with a tissue and then warm water and mild soap. Don’t use your nail polish remover, it will damage the surface and void the warranty. If you notice the spill after it hardened use a blunt plastic knife to scrape it loose and the wash the area. Use of an abrasive cleaner will damage the bench top. The look and the color combination is fantastic, and you will be tempted to use it to pave your exterior. However, it is best to avoid it, as the claddings are not cheap, and there is no warranty for using it outside. The prolong exposure to the UV rays will damage the surface color and its new look, and will also void the warranty. The same will happen if you use it as flooring. You can’t stop things dropping on your floor, and the shock can damage the surface. There three varieties namely Classico, Motivo and Concetto. And the first one is the most affordable. But it has five subcategories and the price range will go up as you step up the ladder. The caesar stone benchtops for the kitchen, or for claddings, even for counters looks tempting. If you are interested in getting one, ask the nearest dealer to give you a price quote. The company will probably not give a price indication if you are in need of it for a very big project. So, contact the dealer, before that you can visit the gallery for the color range and the thickness of the tops that starts from 3 mm and goes up to 13mm. Good luck and happy hunting!